This is an irresponsible attempt to create division and stoke fear among American citizens while attempting to inflame tensions over immigration. Under the Trump Administration, domestic passport denials for so called ‘midwife cases’ are at a 6-year low. The reporting is a political cheap shot. The Post story has loosed an avalanche of Tweets, statements, and denunciations aimed at spurring Latino turnout in November. 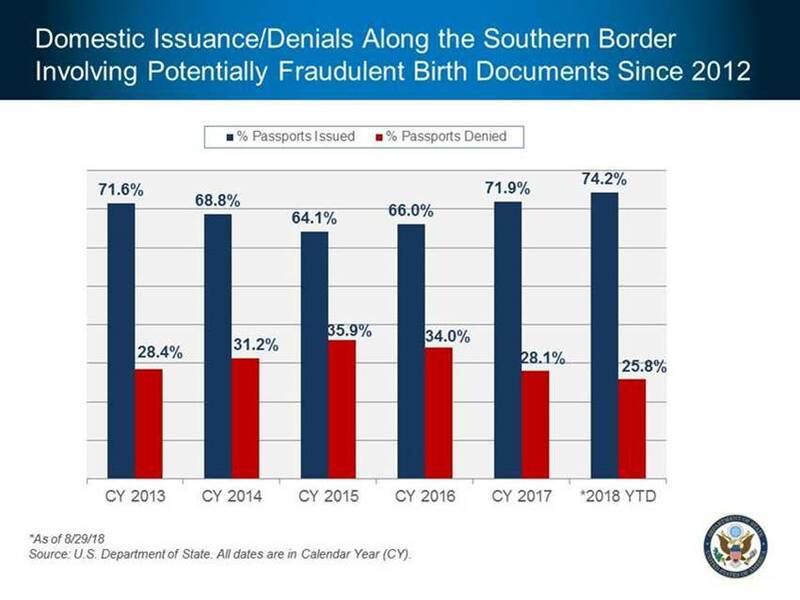 FACT: The State Department’s domestic passport denials are at the lowest rate in six years for midwife cases. 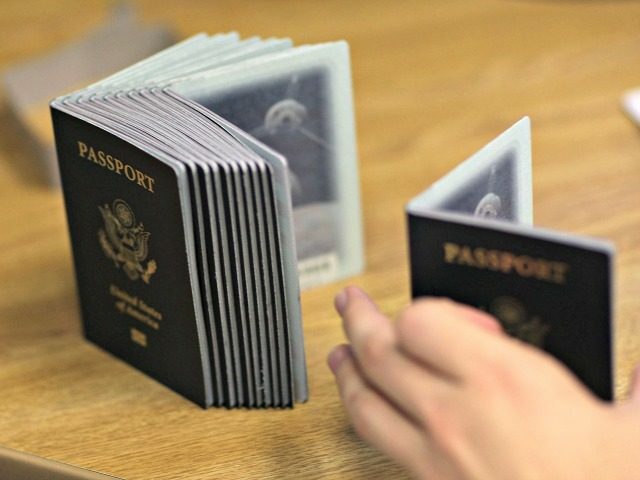 Twenty eight percent of these passport cases were denied in 2017 compared to 36 percent in 2015 under the Obama Administration. Based on the current numbers for the year, the department continues to show a decline in denials to passport applicants – the lowest rate of passport applicant denials in six years (please see chart below). There is no “surge” in denials or revocations related to midwives’ cases, as reported. The U.S. State Department Bureau of Consular Affairs fully complies with policies and practices from 2009. FACT: Again, the policy has not changed. This is a citizen fraud challenge dating back to the administrations of Presidents George W. Bush and Barack Obama. The U.S. Department of State Bureau of Consular Affairs continues to issue passports to applicants based on their applications and evidence, following policies on these types of case that have been in place since 2009. An INS list last updated in October 2002 identifies at least 65 midwives who have been convicted of fraud since the 1960s. U.S. officials previously said cases in the 1990s uncovered forgeries for about 15,000 people born in Mexico. By comparison, about 21,000 Texas births were certified in 2004 by midwives, an integral, though shrinking, part of South Texas culture. The issue is receiving new urgency because of the Western Hemisphere Travel Initiative, which requires a passport to cross the U.S.-Mexico land border starting in June. A similar requirement for air travel last year led to a surge in applications for passports and a massive processing backlog. If a US citizen asked me whether they should carry around their US passport, I can no longer in good faith tell them they don't have to.